As soon as you enter your Asha kitchen you’ll instantly feel at home. Designed with attention to detail, each kitchen has been considered to create a space for all to enjoy. Featuring custom cabinetry for a streamlined aesthetic, Asha comes equipped with European appliances, stonebench tops and plenty of storage. Delivering a sense of space and light, Asha residences deliver high ceilings, large floor to ceiling sliding doors and generous balconies that boast seamless indoor and outdoor living areas. Complimented by hybrid timber floor boards and perfectly placed lighting, each apartment at Asha has been designed to delight all year round. Clean white bathrooms are matched with sleek contemporary finishes for maximum impact. The waterfall shower heads and freestanding baths add to the blissful sense of indulgence. 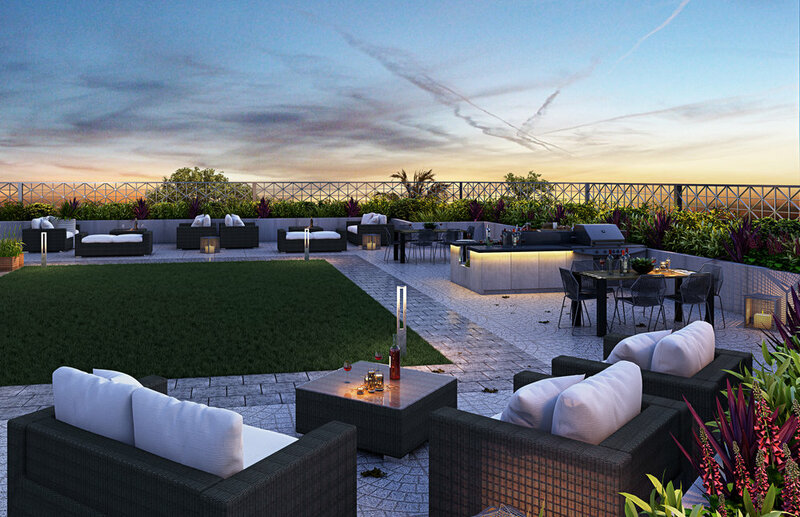 A rooftop garden will provide a private ambient retreat for residents. Equipped with barbeque facilities for all to share, you can relax and spend your afternoons watching the sunset with family and friends. Westmead has evolved from a suburb on the fringe of Sydney into Australia’s leading precinct for health, education and research facilities. Become a part of this future thriving metropolis and lead a tranquil life at Asha.